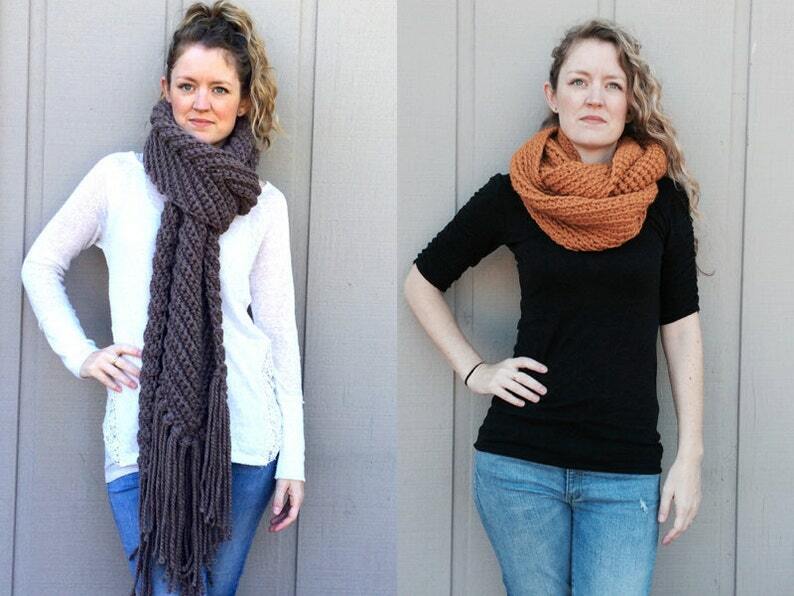 This listing is for the DIY PDF PATTERNs only, for crocheting these scarves yourself. Thank you for reading carefully before purchasing. These patterns are designed for any super bulky weight 6 yarn. The patterns make quick and fashionable gifts, and the large weave texture looks beautiful in any color. These patterns include PDF instructions for making both The Marissa Cowl and the Chevron Scarf. Both are "easy" crochet patterns that requires basic crochet techniques. Marissa Cowl uses 200 yards of super bulky weight 6 yarn and size K hook. Chevron Scarf uses 400 yards and size N.